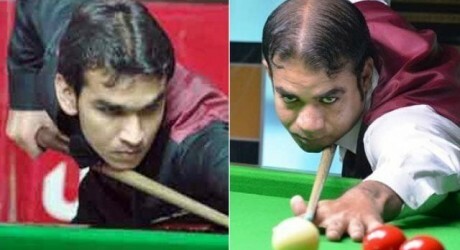 Pakistan won the 2nd match in the Snooker World Cup after initial defeat. Pakistani squad of M Sajjad and Hamza Akber defeated Australia 3-2 after a tough competition. Before that, the national team remained unsuccessful against Wales in the opening match with 0-5. The team will play Poland on Wednesday. According to details, Pakistan defeated Australia 3-2 in the Professional Snooker World Cup match which is in progress in China. The initial round of the tournament, the matches are played in the 5 frames of singles, reverse singles and doubles. Pakistan lost the 1st frame on Tuesday with 23-66 but won the second with 70-52. Australia won the 3rd frame with 68-21 and took lead of 2-1 frame. In the doubles’ frame, Pakistani team defeated Australia 85-1 in a one-sided encounter. Pakistan also remained victorious in the last frame with 80-46 and thus won the match. Pakistan lost the first match against Wales 5-0 and now the team will play against Poland on Wednesday. Pakistan will also play Qatar and North Ireland in its group. Top 2 teams of every group will qualify for the next round.